Before you hit that play button on a mood-setting wrestler theme, be sure to hit OUR play button first! 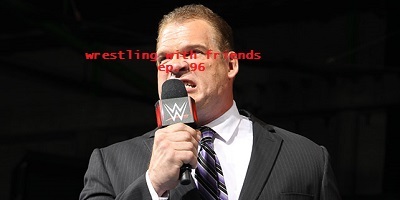 We're setting the mood tonight with some high drama, starting with our first-ever sit-down interview with Corporate Kane. Andrew & Erik aren't afraid to dig down into C.K. 's deep and tragic past to get his insights on the business...even if it means they have to cross hellfire and brimstone to get there! Then they sit down with each other to discuss 6 wrestler entrance themes to keep to yourself if you're looking to set the mood. Not only will these songs kill the romance faster than some tight spandex, they may just kill your relationship altogether!